wiivn wrote: The strategy that nobody cared to answer is Warlords 2. I am surprised that this turned up in the "obscure games nobody will probably know" section, as it's one of my favourites. Especially the deluxe edition with it's abundance of settings. I think I once started to make a list of all units it contains and stopped at over a thousand I think. There was even a female world in that with all-female she-demons, amazons and whatnot. It's a shmup. You're a cat. A cat in space. 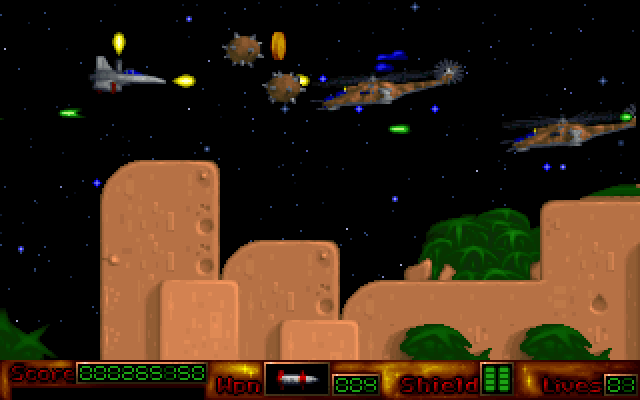 You protect your planet against the human invaders in your trusty space ship. 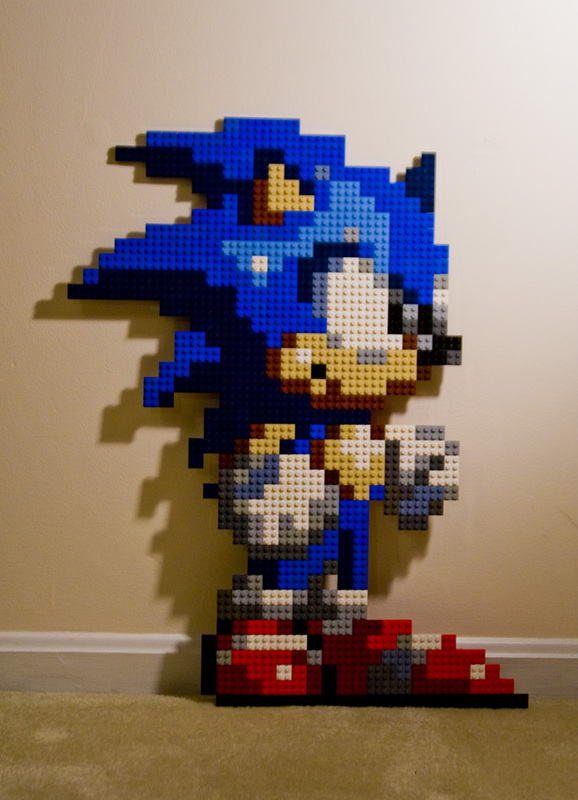 Totally the sonic from Shadow the Hedgehog, because Sonic Adventure 2 and Sonic and The Secret Rings are the coolest gaems evar. VikingBoyBilly wrote: Totally the sonic from Shadow the Hedgehog, because Sonic Adventure 2 and Sonic and The Secret Rings are the coolest gaems evar. how stupit from u. Of horse it's from Sonic Boom, but without the scarf because the coolest sanic everrr. Last edited by MoffD on Tue Jul 07, 2015 21:21, edited 1 time in total. Sonic CD, maybe? Or Sonic Advance? And no one has even attempted to guess the last one. Too obscure? Lack of interest in this forum game? DaVince wrote: Sonic CD, maybe? Or Sonic Advance? Sonic CD basically used the same sprite with Sonic 1 (with some alterations I'm sure)...in fact, you could say the same for the Sonic 2 sprite. Then Sonic Advance was basically a 2D sprite of the Sonic Adventure look and any sidescrolling games after that were pretty much the same (aside from Classic Sonic in Generations, but that was a 3D model). It's Sonic 3 (& Knuckles). Well we exhausted every possible sawnick game it could have possibly come from, so the conclusion that has to be made is that it is a fan-sprite. Except Sonic Labyrinth. Forgot about that gem. I remember I played this game once as a kid in one office, but I didn't remembered its name. 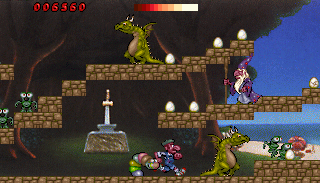 The first level was Egyptian style and you squash eggs. I didn't realized that there were two eyed yorps in it until now, which is neat! Finally someone got it right, good job, lava89. 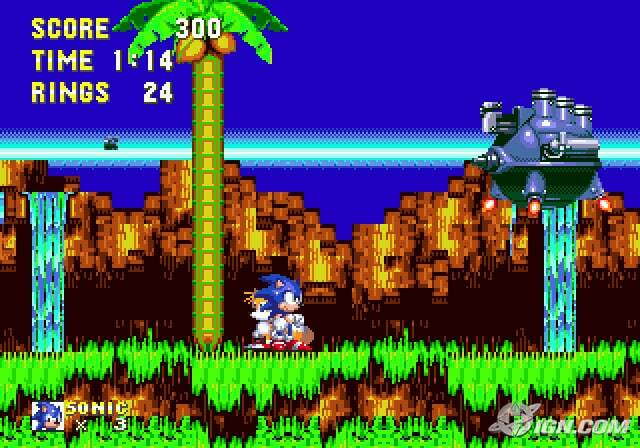 Lava89 wrote: Sonic CD basically used the same sprite with Sonic 1 (with some alterations I'm sure)...in fact, you could say the same for the Sonic 2 sprite. D'oh. The first Sonic game I became familiar with and I couldn't guess it.